Simply click on the link below to gain access. 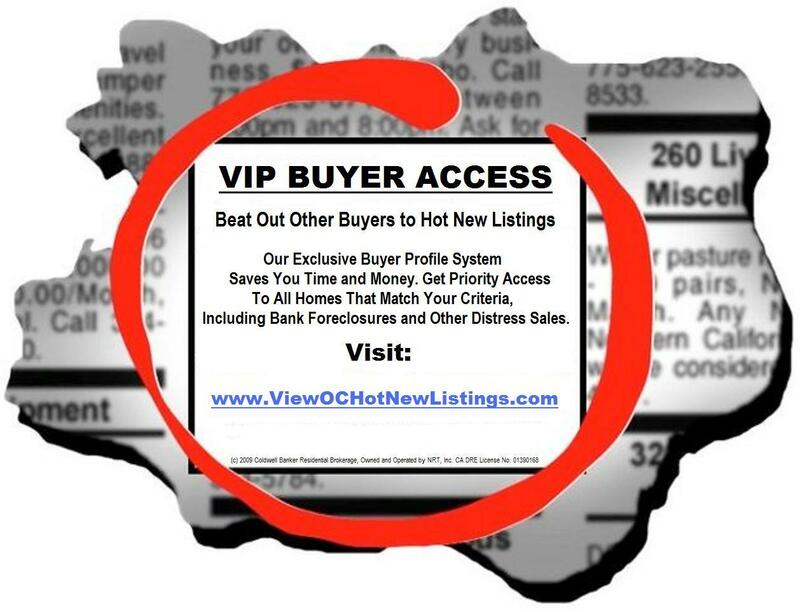 As a VIP Buyer, WE GUARANTEE* that when you find the home you want to purchase, we will negotiate on your behalf to help you purchase that home for at least $5,000 less than the listed price (i.e. the price listed on the MLS - Multiple Listing Service), or we will pay you $500 cash at the closing of the sale. Click here to gain VIP Member access! * Terms and conditions apply, call 949-400-1072 for details.